Have you ever imagined that you are enjoy a wonderful 3D movie crouching in your sofa with a lot of snacks at hand instead of just sitting on a hard chair in the cinema? For movie lovers, the more comfort while watching movies, the better, not to speak of 3D movies. In other words, can you watch a 3D movie at home? Well, it is entirely possible for you bring the 3D movies home. You can find a lot of methods to watch 3D movie at home. What is the best way to watch 3D movies at home? If you are also looking for the best way to watch 3D movies at home, then this article will be suitable for you which will elaborate the specific ways on how to watch 3D movies at home. Concerning viewing 3D movies at home, there are a lot of confusions in people’s mind. From the basic point of view, in order to watch 3D movies at home, you have to search help from a 3D TV and Home Theater. How to watch 3D movies at home on 3D-enabled TV? Well, you have to know how 3D TV works in the first place so that you can fully understand why it is basic to watch 3D movies at home with a 3D TV. 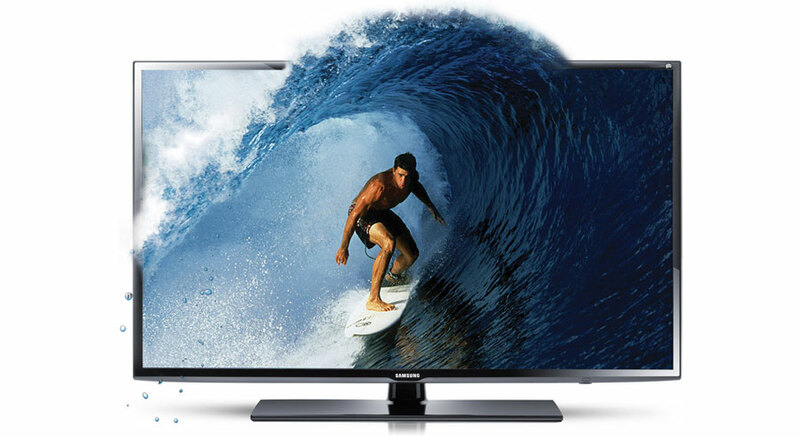 The key factor of a 3D TV lies in its display which is able to show a different image to each eye. More magically, the image will create the illusion that you seem to see something from more than one angle. As of 2017, many famous 3D TV brands have claimed that they will no longer offer TVs with 3D viewing options, but if you really want to buy a 3D TV, you can still buy one from third parties. But you have to clear that 3D TV doesn’t mean everything. One of biggest cons for a 3D TV is the shortage of enough 3D movie resources. Therefore, when you plan to buy a 3D TV, you will not only consider the brand or the price, but also the content it includes. The second biggest part on how to watch 3D movies at home will fall to 3D glasses. Even you have brought a good 3D TV, you will not still enjoy the best part of a 3D movie if you have not got a pair of 3D glasses. The first way is to buy a pair of 3D glasses from a digital media store directly. Or you can choose to make 3D glasses yourself. In terms of gaining the best 3D movie experience, I strongly suggest you to buy a pair of professional 3D glasses which can perfectly fit the 3D TV or other streaming devices. In the current market, mainly you can find two types of 3D glasses: passive and active. For passive 3D glasses, this type is quite common which looks and wears more like sunglasses. Some of them are rigid or flexible, and some of than are made of plastic or metal. Concerning active 3D glasses, they are more advanced which have batteries and a transmitter that synchs the rapidly moving shutters for each eye with the onscreen display rate. In most cases, before buying 3D glasses, you must confirm your 3D TV brand or type. The final important part about 3D movie is not can you watch a 3D movie at home, but can you create a 3D move at home. 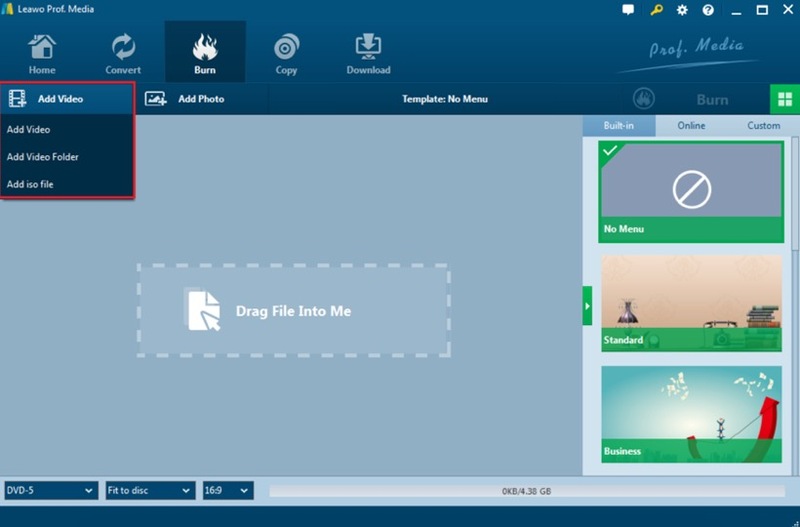 Don’t be panic about this question, you can easily solve the problem by providing a powerful and professional 3D movie maker: Leawo Blu-ray Creator the best way to watch 3D movies at home is to DIY a 3D movie for further entertainment. Step 2. Insert a Blu-ray disc which has enough capacity for the 3D Blu-ray video. Step 3. Load the movie you would like to burn to 3D type to the program by clicking “Add Video” at the top of the main screen. By the way, you can also set the Blu-ray disc menu by selecting your favorite menu templates on the right-hand bar. Step 4. Enter the 3D editing panel. First of all, click the “Edit” icon on the file and find the “3D” option. Step 5. Add 3D effects to the movie. Click on the “3D” option to enable 3D effect where you can choose “Red/Cyan”, “Red/Green”, “Red/Blue”, “Blue/Yellow”, “Interleaved” and “Side by Side” according to your own requirements. Then click “OK” button at the bottom. Step 6. Start burning. When all the output settings have been set successfully, you can click green “Burn” icon and select the “Burn to”, “Disc label” and “Save to” options to start the 3D Blu-ray disc burning. According to the above suggestions, can you watch a 3D movie at home now? I believe things have already gone smoothly and easily. Furthermore, if you can’t find your favorite 3D movies on your 3D TVs, you can turn to Leawo Blu-ray Creator to help you burn a 3D Blu-ray movie disc.